The mission of the school’s Board of Visitors is to serve in an advisory and consultative capacity and to report the results of its studies and efforts to the Dean of the School of Pharmacy. The board provides advice to the dean on matters such as long-range planning and alumni relations, establishes a link between the practice and industrial sectors of pharmacy and the school, forms an advocacy network for the school, and assists in major fund-raising efforts. Board members represent a wide range of pharmaceutical concerns–from large and international companies and national associations to smaller, entrepreneurial-driven firms and community pharmacies. Each member serves a three-year term. Below is a list of current members. Raad Taki Plastic Surgery Center P.C. Dr. Susan “Susie” Kies Bazzell has a BS and an MD from the University of Wisconsin. She completed her anesthesiology residency at the Mayo Clinic in Rochester Minnesota and her specialty training at Cincinnati Children’s Medical Center with a focus on Pediatric Cardiac Anesthesiology. She began her pharmacy career as a technician working with her father, UWSOP graduate Thomas Kies (BS ’61) at Kies’ Pharmacy in Racine, Wisconsin. She then went on to work as a technician at UW Hospital while attending pharmacy school. Upon graduation in 1991, Susie worked as a clinical pharmacist at UW as part of the Surgical and Transplant teams. It was there that she was invited to the operating room during an organ harvest and developed a fascination with the profession of anesthesiology. She entered medical school at UW and graduated in 1998. After a completing a surgical/trauma preliminary year at Maricopa County Hospital in Phoenix, Arizona Dr. Bazzell headed for Rochester, MN and then Cincinnati, OH. Her geographic goal was to return to the warmth of Arizona as soon as possible and she began her career as a pediatric anesthesiologist at Tucson Medical Center in 2006. It was at TMC that she re-established her pharmacy roots and became Chair of the Pharmacy and Therapeutics Committee. With that came the expansion of TMC’s OR pharmacy services, oversight of in-hospital research, monitoring of research medication acquisition, development of automated anesthesia records and integration of automated drug delivery systems. From TMC Susie was drawn to academic anesthesiology practice at the University of Arizona and became an Associate Professor in 2010. She mentored residents in Pediatric and Pediatric Cardiac Anesthesia, became involved in numerous research projects and again became a member of the Pharmacy and Therapeutics Committee. She won the 2011 Teacher of the Year Award for her commitment to resident education and departmental research. Her research and teaching expertise are in anesthesia simulation and pediatric anesthesia resident curriculum development. She served for two years on the Resident Recruitment Committee. As an ACLS and PALS instructor, she developed training programs for certification of residents and faculty, as well as a pediatric anesthesiology lecture series. She holds certification in basic transesophageal echocardiography and holds subspecialty certification as a pediatric anesthesiologist through the American Board of Anesthesiology. During the tragic events in Tucson in January 2011, Dr. Bazzell was one of the first anesthesiologist called in to attend to the mass casualties after Congresswoman Gabriela Gifford was injured and was able to incorporate those tragic events into improved mass casualty simulation training. In 2013 Dr. Bazzell pursued her personal interests and formed an L.L.C. to practice independently as a doctor of Aesthetic Medicine. This led her to join the Raad Taki M.D. Plastic Surgery Center as an anesthesiologist and aesthetic medicine practitioner. She now works closely with Dr. Taki and his team, taking care of surgical and non-surgical patients seeking improved self-image and conscientious patient-centered care. Dr. Bazzell has served her community as co-chairperson of the Block by Block Building Campaign for TMC for Children Hospital and has helped individuals in numerous drug rehabilitation outreach programs. She is currently working on drafting legislation for Arizona’s Department of Health Services in the area of Medical Spa Regulation. Her leisure time is primarily focused on Formula One Racing, as she served as a track physician at the Circuit Gilles-Villaneuve in Montreal during the Canadian F1 Grand Prix from 2003 to 2010, and has attended the US Grand Prix at it’s purpose-built track in Austin, Texas since it’s 2012 opening. Richard (Rick) Bertz joined the University of Pittsburgh, School of Pharmacy Faculty in early 2018, and has recently been appointed Professor and Associate Dean. Rick has previously worked in pharmaceutical industry for over 22 years, most recently as Vice President and Head, Clinical Pharmacology and Pharmacometrics at Bristol-Myers Squibb, responsible for facilitating decision making and driving strategy, overseeing a group of PharmD, MS, MD and PhD scientists. He received a BS in Pharmacy from the University of Wisconsin, worked as a Clinical Pharmacist for 5 years at Columbia Hospital in Milwaukee, WI, and then earned his PhD in Pharmacokinetics/Pharmacodynamics from the University of Pittsburgh Clinical Pharmaceutical Scientist Graduate Program. During his career in pharmaceutical industry, which began at Abbott Laboratories, Rick has been involved in all phases of clinical drug development, with a focus on the analysis and interpretation of clinical pharmacology and pharmacometrics data. During his career, Rick has mentored, coached, managed and developed numerous Clinical Pharmacologists and Drug Developers. He has co-taught several academic and industry courses, including ten years team teaching ‘An Introduction to Drug Metabolism’ short course at the University Wisconsin Extension Services in Pharmacy. He has been integrally involved in the completion of components of NDA submissions that have led to worldwide regulatory approval for 3 drugs, 2 to treat HIV and one for HCV. He and several colleagues at Abbott Labs received the Intellectual Property Law Association of Chicago Inventor of the Year Award in 2004. He has a passion for developing life-saving drugs for patients that are in need. Rick is an active member of the American Foundation for Pharmaceutical Education (AFPE) Board of Grants, past Secretary for the IQ Industry Consortium Clinical Pharmacology Leadership Group, a member of the Rho Chi Pharmacy Honor Society, and a reviewer for several Clinical Pharmacology Journals. He is also an active member of the American Society of Clinical Pharmacology and Therapeutics, American Conference on Pharmacometrics and the American Association for Pharmaceutical Scientists. He has coauthored 70 peer-reviewed publications and given numerous invited presentations at national and international scientific meetings, as well as at universities. Rick received the Legacy Laureate Award from the University of Pittsburgh in 2014 and a Citation of Merit from the University of Wisconsin School of Pharmacy in 2016 for recognition as a distinguished alumnus. Dave Ehlert is the Vice President and General Manager within the North Central region of McKesson U.S. Pharmaceutical and Specialty Health where he has full P&L and capital accountability for two distribution centers (DC) and customer relationships in the 13-state market area that these two DCs service. Dave is also accountable for key customer retention and new business development that drives profitable pharmaceutical distribution revenue growth in both health system and retail pharmacy segments. He has been with McKesson for more than 17 years and has fulfilled positions of increasing leadership responsibility throughout his career. Dave received his Bachelor of Science degree in Pharmacy with highest distinction and his Doctor of Pharmacy degree from the University of Wisconsin–Madison. Following graduation from the University of Wisconsin–Madison, Dave went on to complete two pharmacy residencies including a Pharmacy Practice Residency at Aurora Health Care in Milwaukee, Wisconsin and a Specialized Pharmacy Residency in Drug Policy and Medication Use System Management with the University of Wisconsin Hospital and Clinics and McKesson Medication Management. In 2013, Dave was honored as a Carlson Scholar and received his Masters of Business Administration from the University of Minnesota Carlson School of Management. Dave is a Fellow of the American Society of Health-System Pharmacists (ASHP). He also is the author of multiple peer reviewed journal articles and textbook chapters and has been appointed to numerous committee and council leadership roles with ASHP. Dave and his wife Kim, who is also a pharmacist, live in Minnesota and have two school-age sons and a Goldendoodle puppy. Debra Fluno is Regional Director, Pharmacy Operations and Account Management for Cardinal Health Innovative Delivery Solutions, a division of Cardinal Health. Cardinal Health Innovative Delivery Solutions is a leader in Hospital Pharmacy Management. They provide outsourced management and consulting services to over 200 hospitals nationwide. In her current role, she is responsible for the management of all aspects of key accounts. Debra and her team provide clinical, operational, and regulatory excellence. She is dedicated to bringing state of the art pharmacy practices to her hospitals to ensure they run efficiently and effectively, while focusing on patient safety and satisfaction. Prior to Cardinal Health, Debra was a Pharmacotherapist-Renal Medicine for Michael Reese Hospital, in Chicago, Illinois. She was part of a team that started clinical pharmacy services focused on providing comprehensive pharmaceutical care to patients. During this time, she was also a Clinical Assistant Professor in Pharmacy Practice at the University of Illinois at Chicago College of Pharmacy. Since joining Cardinal Health in 1996, she has served in roles of increasing responsibility including Clinical Manager, System Clinical Manager, Regional Clinical Director, and her current role of Regional Director. Areas of expertise include pharmacy leadership, strategic planning, clinical pharmacy program development, and management of multi-hospital pharmacy operations. Her focus is on operational excellence and superior execution to deliver solutions that improve patient outcomes, reduce overall cost while providing high quality care. Her vision is that pharmacy is a strategic asset within the healthcare space. Debra has more than 25 years of experience in healthcare. She is a member of the American Society of Health-System Pharmacists and the American College of Healthcare Executives. She is a 2004 Cardinal Health Founder’s Award winner and a 2004 Pharmacy Management Pillar of Excellence in Leadership Development winner. Innovative Delivery Solutions also recognized Debra with the Enterprise Award in 2011 and the Consultative Services Sales Excellence Award in 2013. She was awarded a B.S. in Pharmacy from the University of Wisconsin–Madison, a Doctor of Pharmacy Degree from the University of Minnesota, and has completed a 1-year AHSP Pharmacy Practice residency program through Abbott Northwestern Hospital in Minneapolis, Minnesota. Debra resides in Gurnee, Illinois with her husband and her three children. St Louis, MO. Envolve, through its family of companies, provides flexible and affordable healthcare solutions including access to the most comprehensive suite of supplemental health benefits, wellness and back-office support solutions for partners nationwide. Nancy joined Envolve in September 2016 and leads the strategic direction, business development efforts, customer management, product growth and operations for the $11 billion unit comprised of 4,500 employees across the country. Nancy is an experienced leader with 27 years of healthcare experience, including 22 years in the Pharmacy Benefits Management (PBM) industry. She spent 19 years at Express Scripts (ESI), the nation’s largest PBM and a Fortune 22 company, where she was involved in the dramatic growth of the company through key leadership roles in acquisitions/integration and organic growth opportunities. In her last role at ESI, Nancy was the President of the Federal Pharmacy Services Division, responsible for client retention, client satisfaction and P&L for the $10 billion business division, and oversight of a 3000 member federal unit. She successfully led the enterprise-wide effort to win the next generation Department of Defense contract in 2014, valued at $63.2 billion over a 7 year term, as well as leading the successful installation of the contract in 2015. Prior to that Nancy served as the Vice President and General Manager of ESI’s TRICARE Pharmacy Division (2009-2012); Vice President, TRICARE Pharmacy Division (2007-2009); Vice President, Account Management of the Public Sector Division (2002-2007); Vice President of Clinical Program Management in the National Employer Division (2000-2002); and Senior Director, Clinical Program Management (1998-2000). Before Express Scripts, Nancy held progressively responsible clinical leadership roles within pharmaceutical, managed healthcare and hospital settings including ValueRx, SmithKline Beecham, Diversified Pharmaceutical Services, and the University of Wisconsin Hospitals and Clinics. Nancy is a graduate from the University of Wisconsin–Madison with a bachelor’s degree in Pharmacy and a master’s degree and residency training in Hospital Pharmacy Administration. She is an active member of AMCP and ASHP and has served in multiple leadership roles with military support organizations including the USO MO Board of Directors. She is presently on the Board of Visitors for the University of Wisconsin where she advises the Dean of the School of Pharmacy on strategy, curriculum and policy matters. Nancy is the proud mother of two teenagers and resides in Chesterfield, MO. Duane Kirking received his BS in pharmacy from the University of Wisconsin-Madison. In addition, he has a PharmD from the University of Kentucky where he also completed a clinical pharmacy residency, and a master’s degree in public administration plus a PhD in administrative and social sciences in pharmacy from The Ohio State University. Kirking has over 40 years of research, service and teaching related to assessing and improving the quality and cost-effectiveness of medication use. Although he spent his entire academic career on the faculties of the University of Michigan College of Pharmacy and School of Public Health, Kirking still much prefers Badgers to Wolverines. Among his administrative duties, he co-founded and later directed the University’s Center for Medication Use, Policy, and Economics. Kirking continues his nearly 30-year volunteer tenure with the United States Pharmacopeia (USP) including five years as Chairman of the Board. He is on the Board of Directors of the Commission on Accreditation for Health Informatics and Information Management Education (CAHIIM) and serves on several other volunteer, health-related boards. Previous experiences include the Board of Trustees of the American Pharmacists Association and various government agencies. Kirking also enjoys genealogy, choral singing, and mission projects through his church. Among the honors he is most proud of is his Citation of Merit from UW-Madison. Kirking has been on the Board of Visitors since 2007. As one of eight family members who graduated from UW–Madison – the first over 100 years ago – Kirking’s love for UW was part of his life long before he matriculated. Kirking’s goal as a board member is to assure continued support for the breadth of opportunities that pharmacy education and research make available and which provided him a successful career and life. Daniel F. Luce is a graduate of the University of Wisconsin–Madison School of Pharmacy and is currently the Vice President of Pharmacy Affairs in the Government and Community Relations department with the Walgreen Company. He is the primary Walgreen liaison with Boards of Pharmacy and interacts with many state legislatures. Dan’s activities are centered on advancing the practice of pharmacy by utilizing new technologies that allow pharmacists to focus on patient care. Dan completed his MBA degree in 1994 with an emphasis in Finance and Strategic Management. He practiced in hospital, long-term care, and independent community pharmacy, and spent eleven years as a pharmacy supervisor with the Vons Companies and Walgreens. Dan is a former member of the Wisconsin Board of Pharmacy (1996 to 2004) and served two terms as Chairman. He is active in the National Association of Boards of Pharmacy (NABP) and served on the Committee on Law enforcement and Legislation and three times on the Nominating Committee. He was also elected by the membership of the American Pharmacists Association to a 3 three-year term (2004 to 2007) on the APhA Board of Trustees. He served on the APhA Government Affairs Committee (2006 to 2011) and was the Chair for three years. He was appointed to a four-year term on the APhA Foundation Board of Directors for a term which began March 2010. He served the last two years of his term as the president of the Foundation. Dan serves on the Board of Directors of the Center for Pharmacy Practice Accreditation (CPPA) (2012 to present). He is also a founding member of the Pharmacy Society of Wisconsin (PSW) and serves on the PSW Chain Advisory Board (2008 to present) as Chair. Dan is a member of the University of Wisconsin–Madison School of Pharmacy Board of Visitors (2003 to present). He enjoys serving on the board because it allows him to give back to the University of Wisconsin–Madison. Michael Makoid is president of the United States Martial Arts Association which represents all martial arts and is the co-founder and board of directors member of Pharmaceutical Technologies, Inc., a pharmacy benefits management company, based in Omaha, Nebraska. He is also Professor Emeritus at Creighton University School of Pharmacy where he served as Professor, Department Chair, Faculty President, Chairman of Faculty Grievance and Chairman of the University Committee on Rank and Tenure during his thirty years at Creighton University. Makoid received his BS (Pharmacy 1968), MS (Pharmaceutics 1972), and PhD(Pharmaceutics 1976) from the University of Wisconsin, Madison. His research areas included polymeric prodrugs, clinical pharmacokinetics, physical stability of pharmaceuticals, sustained release delivery system design, fetal alcohol syndrome, pedagogy, and pharmacy benefits management. He is the author of over 75 research and teaching publications and over 500 national and international presentations, including publication of “Basic Pharmacokinetcs” a text-book used in many schools of Pharmacy around the world and translated into several different languages. Dr. Makoid’s contributions were recently recognized by the University of Wisconsin as he was honored with the Wisconsin Citation. He and his wife, Bette Evans, also Professor Emeritus at Creighton University, split their time between homes in Santa Fe, New Mexico, USA and San Carlos, Sonora, Mexico. Tom McCourt joined Ironwood as chief commercial officer and senior vice president of marketing and sales in 2009. Tom has designed and implemented Ironwood’s commercial strategy, lead the hiring of a sales force and bringing LINESS (linaclotide) and ZURAMPIC (lusinurad) to patients. Prior to joining Ironwood, Tom led the U.S. Commercial Team for PROLIA (denasumab) at Amgen Inc. Before that, he held a number of senior commercial roles with Novartis AG, where he directed the launch and growth of Zelnorm® (tegaserod maleate) for the treatment of patients with IBS‐C and chronic constipation and held a number of senior commercial roles, including vice president of strategic marketing and operations. Tom was also part of the founding team at Astra Merck Inc., leading the development of the medical affairs and science liaison group and serving as brand manager for Prilosec® (omeprazole). He serves on the Board of Directors for Acceleron Pharmaceuticals, My Total Health Inc and the Board of Trustees for American Society of Gastrointestinal Endoscopy. Tom has a degree in pharmacy from the University of Wisconsin. David is a professor and Division Chair of the Social & Administrative Sciences Division at the University of Wisconsin-Madison School of Pharmacy. He currently coordinates courses in pharmacy practice law and regulation, ethics, and advanced research methods. His research interests include pharmacy labor market and economic factors associated with drug utilization and has spoken to the Wisconsin state legislature about the community pharmacist’s role in modifying the use of fall risk-increasing drugs. Dr. Mott has been named Teacher of the Year in 1999, 2001, 2002, 2003, and 2006 by first year doctor of pharmacy students at the University of Wisconsin–Madison. Before joining the University of Wisconsin School of Pharmacy faculty in 1998, Dr. Mott was on the faculty at the Ohio State University College of Pharmacy and practiced in community pharmacy settings. He earned his BS (1988) in pharmacy, and his MS (1992) and PhD (1995) in pharmacy administration, all from the University of Wisconsin-Madison. His minor fields of study for his PhD degree were economics and public policy analysis. You “only” control your choices. Pam spent most of her career at the University of Wisconsin Hospitals and Clinics in various roles progressing from staff pharmacist to Associate Director of Pharmacy Practice, Education, and Research, and Director of Pharmacy Practice Residency. She was also Clinical Associate Professor for the University of Wisconsin-Madison School of Pharmacy. She served her profession as President of the Wisconsin Society of Hospital and of the Pharmacy Society of Wisconsin. Additionally she was the Chairperson of the Wisconsin State Pharmacy Examining Board. She received her Bachelor of Science degree from the University of Wisconsin-Madison School of Pharmacy where she would eventually become chairperson of the Pharmacy Alumni Association. Pam shares life lessons of taking time to ponder, making core decisions, “check your expectations”, and do a few things well and make sure they are the ones that are important to you. Richard A. Pyter earned a BS in Pharmacy and an MS, and PhD in Pharmaceutics at the University of Wisconsin. Dr. Pyter started his industrial career at Abbott Laboratories and spent 27 years working across a broad spectrum of functional areas within the Pharmaceutical Product Research and Development arena. Responsibilities at the laboratory and/or supervisory level included: preformulation and discovery support, design of novel drug delivery systems, solid dosage form design and scale-up, technical support for production facilities, GMP analytical laboratory activities, GMP pilot plant oversight including clinical supply manufacture, and CMC program management. 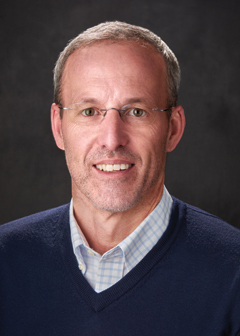 Rick has been appointed an Adjunct Professor at the School of Pharmacy for over 15 years where his primary responsibilities have been teaching various topics in physical pharmacy as part of the Drug Delivery Systems curriculum and consulting on a number of academic initiatives. In 2008, he joined the faculty of the Applied Drug Development short course sequence co-sponsored by the Extension Services in Pharmacy and the Lenor Zeeh Pharmaceutical Experiment Station at the UW School of Pharmacy. Rick is presently a pharmaceutical product development consultant and educator, currently serving as a member of the School of Pharmacy Board of Visitors, and has been a member and past Chairman of the Lenor Zeeh Pharmaceutical Experiment Station Advisory Board. He recently led the development of the new “CMC Project Management – Principles and Practices for Successful Technical Leadership” short course jointly offered by the University of Wisconsin Extension Services in Pharmacy and the Lenor Zeeh Pharmaceutical Experiment Station. He is also a contributing member of the faculty of the recently reformatted “Preclinical and Drug Product Design Strategies” webinar and the “CMC Project Management – Principles and Practices for Successful Technical Leadership” on-site short course. In 2012, Dr. Pyter was awarded a Citation of Merit by the University of Wisconsin for his “substantial contributions to pharmaceutical research and teaching, and for his commitment to, and support of the School of Pharmacy”. Azita Saleki-Gerhardt is President, AbbVie Operations, leading a team of scientific, engineering, business, quality, supply chain, security, purchasing and manufacturing professionals responsible for supply and distribution of all AbbVie products, as well as a number of corporate services. Dr. Saleki-Gerhardt joined Abbott in 1993 as a Research Scientist. Over her 20-year career with Abbott, she worked in key positions in science and technology, manufacturing, and quality assurance. Her roles included Director of Technical Operations for international pharmaceutical and hospital products and Divisional Vice President, Manufacturing Science and Technology, where she led technical support for commercially marketed pharmaceutical products. She was Divisional Vice President, Quality, Global Pharmaceutical Operations, responsible for the quality of Abbott’s portfolio of global biological, chemical and pharmaceutical products prior to being named President, Global Pharmaceutical Operations for Abbott, where she held responsibility for the supply chain, quality, manufacturing and distribution of Abbott’s proprietary pharmaceutical products. Following the separation of Abbott and AbbVie, Dr. Saleki-Gerhardt became President, AbbVie Operations. She has been published in a number of scientific publications and has been awarded several patents related to pharmaceutical sciences. Dr. Saleki-Gerhardt is a member of the board of directors for Entegris and also serves on the board of directors at the United Way of Lake County. Dr. Saleki-Gerhardt is a member of the Dean’s Advisory Boards for the School of International Studies and School of Pharmacy at UW-Madison. She earned her bachelor’s, master’s and doctorate degrees in pharmaceutics from the University of Wisconsin at Madison. Mr. Scott is a senior executive with an extensive and successful background in healthcare. He is currently President of EnvisionPharmacies, an EnvisionRx Options company. He has served in executive roles for Medco Health Solutions including President of Accredo Infusion Services where he was responsible for the infusion therapy business including specialty medications and traditional home care therapies. He also served as Medco’s Chief Pharmacist and SVP of Professional Practice responsible for leading the practice of more than 3,500 pharmacists, nurses, dieticians and other health care professionals. Prior to joining Medco, he was Chief Operating Officer of McKesson Medication Management, a subsidiary of McKesson that provided pharmacy management services to hospitals and other health care organizations across the country. Previously, he held senior leadership roles at Allina Hospitals & Clinics in Minneapolis and St. Paul Minnesota for almost 20 years. Mr. Scott earned his bachelor’s degree in pharmacy from the University of Wisconsin, and a master’s degree in pharmacy administration from the University of Kansas where he also completed a pharmacy residency program. He is passionate about opportunities to advance the delivery of health care, improve leadership development and performance, and is actively engaged in his community. This is demonstrated by his past and current service to organizations and a number of boards including serving as President of the American Society of Health-System Pharmacists, President of the Ronald McDonald House Charities of Minneapolis and St. Paul, a member of the Deans’ Board of Advisors for the University of Minnesota College of Pharmacy and the University of Wisconsin School of Pharmacy, The URAC Board, and past faculty member of the Pharmacy Leadership Academy of the American Society of Health-system Pharmacists. Susan L. Sutter, over a time span of 34 years, was the co-owner of Marshland Pharmacies, Inc., which included two community pharmacies and a clinic pharmacy in Horicon, Mayville, and Beaver Dam, WI. Sue has been active in state and national professional pharmacy organizations as a member of the Pharmacy Society of Wisconsin (PSW), the National Community Pharmacists Association (NCPA), and the American Pharmacists Association (APhA). Ms. Sutter served two-4 year terms on the Wisconsin Pharmacy Examining Board (PEB) from 1996-2005, serving as chairperson for two years, vice chairperson for more than three years. She received the 2004 PSW Good Government Legislative Award and the 2005 APhA Good Government Pharmacist of the Year Award acknowledging her work on the PEB. Sue served in the leadership of PSW from 2005-2008, serving as President in 2006-07 and is currently serving as a member of the PSW Foundation Board. Sue has been honored with the PSW Distinguished Service Award and the Bowl of Hygeia Community Service Award. She has been active in her community throughout the years of living in the greater Horicon area. Most notably, she has served for over 13 years and currently serves as Vice Chairperson on the Board of Directors of the Beaver Dam Community Hospital. Sue also serves on the Board of Directors of the Pharmacists Mutual Insurance Company. Sue is a 1978 graduate of the University of Wisconsin–Madison School of Pharmacy (UW-SOP), and in 1994 served as co-President of the UW-SOP Pharmacy Alumni Association with her husband, also a 1978 graduate. She served as preceptor for dozens of UW-SOP students and their pharmacy became one of the first two Wisconsin community pharmacies to offer an ASHP accredited community practice residency in 2000. Along with her husband, they were honored as the 2017 Alumni of the Year by the UW–Madison School of Pharmacy. Tom Thielke is currently Emeritus Clinical Professor and Associate Director, Office of Global Health for the University of Wisconsin–Madison School of Pharmacy. Prior to that, he was Vice President, Professional and Support Services at the UW Hospital and Clinics where he was responsible for several professional service departments, including Pharmacy, Radiology, Pathology, Clinical Laboratories, Infection Control, Food and Dietetic Services, Emergency Services, Neurosciences Service Line, and the Orthopedics/Rehabilitation Service Line. He also was a clinical professor at the University of Wisconsin–Madison, School of Pharmacy. He has held several national offices in pharmacy and continues to serve on national professional committees. He chaired the One Voice/One Vision Steering Committee that formed the Pharmacy Society of Wisconsin (PSW) and served as the first Chairman of the Board of this new organization. He is past President of the American Society of Health-System Pharmacists (ASHP) and past Chairman of the ASHP House of Delegates. Mr. Thielke was named a Fellow of the ASHP in June 1993 in recognition of sustained contributions to practice excellence. He was named Hospital Pharmacist of the Year in the State of Wisconsin in 1978 and 1998. He was the Harvey A.K. Whitney Award recipient in 2005 and received the Donald E. Franke Medal for Outstanding Service to International Pharmacy in 2006. He received the PSW Distinguished Service Award in 2007. In 2008 he received the John W. Webb award for sustained excellence in pharmacy leadership. He has published numerous articles and lectured nationally and internationally on many topics related to hospital pharmacy leadership and pharmacy practice. His research interests include pharmacy automation and technology, safe medication use systems and pharmacy care integration. Mr. Thielke has a great interest in the role of pharmacy worldwide and has served two terms as Vice President, one term as President, and one term as Past-President of the Hospital Pharmacists Section of the Federation of International Pharmacists (FIP). He was named a Fellow of FIP in 2010 for sustained contributions to FIP. His educational responsibilities have included program director of the ASHP administrative residency training program and coordination of research activities for the University of Wisconsin Health System Pharmacy Graduate Program for over 20 years. Mr. Thielke received his Bachelor of Science and Master of Science degrees from the University of Wisconsin, where he also completed an ASHP-accredited residency. Roger Tung, PhD, is President and CEO of Concert Pharmaceuticals, Inc., a public biotechnology company developing innovative medicines targeting autoimmune diseases and central nervous systems (CNS) disorders. Roger is Concert’s scientific founder and led the company through its IPO in 2014. Prior to Concert, Roger worked in venture-backed start-up and major pharmaceutical companies including Merck and Vertex Pharmaceuticals, in the later case as a founding scientist and most recently as Vice President of Drug Discovery. Roger was an inventor of and/or oversaw the discovery of active pharmaceutical ingredients in six drugs approved in the US and abroad for the treatment of cystic fibrosis, hepatitis C, and HIV infection. He has been issued over 100 US patents and has authored or co-authored over 100 scientific papers, book chapters, and abstracts. Roger received a BA in Chemistry from Reed College in Portland, OR, and a PhD in Pharmaceutical Chemistry from UW–Madison. Roger serves as a director of Flex Pharmaceuticals, is a faculty mentor in MIT’s IMPACT innovation program, and a strategic advisor to Longwood Founder’s Fund. He and his wife Jillian live in Lexington, MA with their two children. Robert Wills, PhD has over three decades of experience as a leader in the pharmaceutical industry. Dr Wills is currently serves as the Executive Chairman of GTx, Inc, Chairman of the Board of CymaBay Therapeutics, Board member at Parion Sciences, Inc, and a member of the Emerging Companies Section Governing Board of Biotechnology Innovation Organization (BIO). Prior to these roles, Rob spent over 25 years at Johnson & Johnson. Most recently he was Vice President, Alliance Management, Janssen Pharmaceutical Companies of Johnson & Johnson. He also served as Senior Vice President Global Development, where he was responsible for the R&D pipeline and a member of the R&D Board of Directors. In addition he served on several of the commercial Operating Company Boards and key pharmaceutical group decision-making committees. Rob began his career at Hoffmann-LaRoche where he spent 10 years in several roles of scientific responsibility. He holds a BS in Biochemistry and an MS in Pharmaceutics from the University of Wisconsin and a PhD in Pharmaceutics from the University of Texas. David Zgarrick served as Acting Dean of the School of Pharmacy at Northeastern University’s Bouvé College of Health Sciences from 2014-2017, having served as Professor and Chair of the Department of Pharmacy Practice from 2009-14. Prior to joining Northeastern he was The John R. Ellis Distinguished Chair of Pharmacy Practice at Drake University College of Pharmacy and Health Sciences, and Vice-chair of Pharmacy Practice at Midwestern University Chicago College of Pharmacy. He received a BS in Pharmacy from the University of Wisconsin and a MS and PhD in Pharmaceutical Administration from The Ohio State University. His scholarly interests include pharmacy management, pharmacy workforce planning, pharmacy education, and the development of post-graduate training programs. He is co-editor of the textbook Pharmacy Management (3rd Ed) and author of the book Getting Started as a Pharmacy Faculty Member. Dr. Zgarrick is active in many professional associations. He has served two terms on the Board of Directors of the American Association of Colleges of Pharmacy (AACP) from 2007-09 and from 2011-14. He also serves on the Pharmacist Workforce Assessment Workgroup for the Massachusetts Department of Public Health. He is a Fellow of the American Pharmacists Association. David and his wife Michelle (who completed a pharmacy practice residency at UW Health) are residents of Brookline, MA, where they enjoy skiing, ice hockey and cooking. They travel back to Wisconsin frequently to visit family and are proud season ticket holders for Wisconsin Badger football! A. Zilz, RPh, MS, FASHP is Senior Consultant, Corporate Pharmacy Programs UW Health Systems and Hospital & Clinics, Clinical Professor Emeritus- UW-Madison School of Pharmacy, Madison, Wisconsin and maintains an active independent consulting practice. His professional career at UW Hospital and Clinics was devoted to identifying and implementing innovative contemporary pharmacy practices services, training of pharmacy residents, and developing new hospital administrative services. In addition to serving as the Director of Pharmacy Services for over two decades, he was involved in other hospital administrative responsibilities including Central Services, Materials Management and Respiratory Care/Pulmonary Function. He was instrumental in establishing a number of key hospital programs including: Home Care and Infusion Services, a UWHC Technology Identification and Assessment organization, and the Office of Clinical Research for the UW Medical School and Center for Health Sciences. His organization and association leadership roles included: Board of Directors Apexus-340B, two-three year term as Treasurer of ASHP; Chair, Novation Pharmacy Executive Committee; Chair, Steering Committee of Pharmacy Executive Committee -University Health Systems Consortium; Coordinator of programs, Directors of Pharmacy of the Wisconsin HMO Association; Chair, Wisconsin Pharmacy Forum (Triad of PSW, UW School of Pharmacy, State Examining Board); Board of Visitors, UW School of Pharmacy. He is the Past President of ASHP; ASHP Research and Education Foundation and WSHP; Recipient of Harvey H K Whitney Lecture Award; ASHP Award for Distinguished Leadership in Health-System Pharmacy Practice; ASHP Honorary Member; ASHP R&E named fund (David A Zilz Leaders of the Future Fund); John Webb Visiting Lecture Award; Donald C. Brodie Pan Pacific Award; John McKesson Inaugural Fellow; 2016 Pharmacy School Alumnae of the Year Award; named twice as the WSHP Pharmacist of the Year and 2013 recipient of 2013 Pharmacy Society of Wisconsin Distinguishing Service Award. He has an extensive list of publications related to pharmacy, hospital administrative and other health-related topics. He continues to lecture on trends that impact the research, production, distribution and utilization and management implications of pharmaceuticals in the United States. He has consulted on pharmacy related issues including governmental and related agencies (VA – DOD & Apexus Inc), several hospitals and integrated health networks, large and small companies of the pharmaceutical industry as well as state health-system pharmacy societies and colleges of pharmacy. His primary focus is on strategic planning, forecasting likely future scenarios and directions in health care provision as well as operational efficiency related to pharmacy service programs. His experience and expertise includes financial management, clinical and distribution logistics assessments, organizational and operational improvement and residency training. He has also consulted for several pharmaceutically related corporations, companies and organizations. He is semi-retired and continues to be involved in numerous leadership roles in numerous pharmacy and health related entities, colleges of pharmacy, associations and foundations, as well as his church and local community organizations. His pharmacy training includes a BS & MS University of Wisconsin School of Pharmacy and Residency Training at the University of Wisconsin Hospital and Clinics. Advanced training includes certificate on “Health Care Finance” from the University of Wisconsin Health Care Administration Program.